Best Prices for Proxies on the Net! We Guarantee Our Uptime, and our Proxies are Easy to Order and Use. We offer both HTTP(S) and SOCKS proxies with a 3 day refund guarantee. 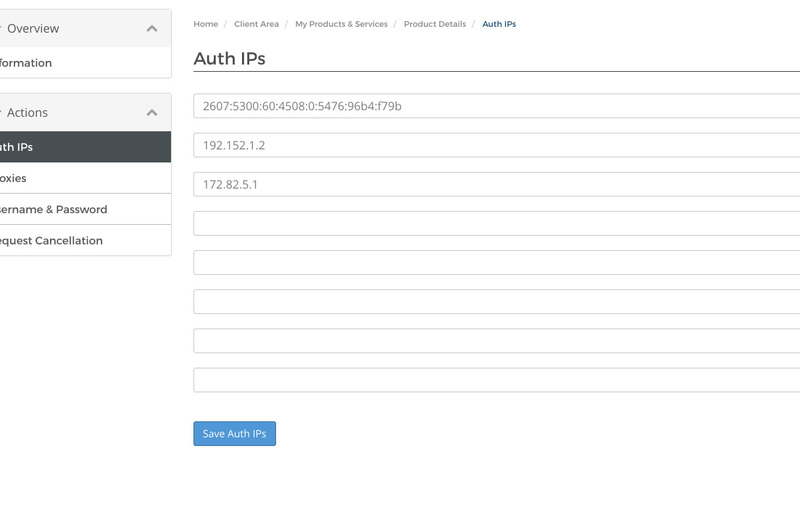 All proxies include Mulitple Cities, Multiple Subnets, Free Setup, user/pass, and IP Authentication. You have full control over your proxies and are able to select from many options to suite your needs. 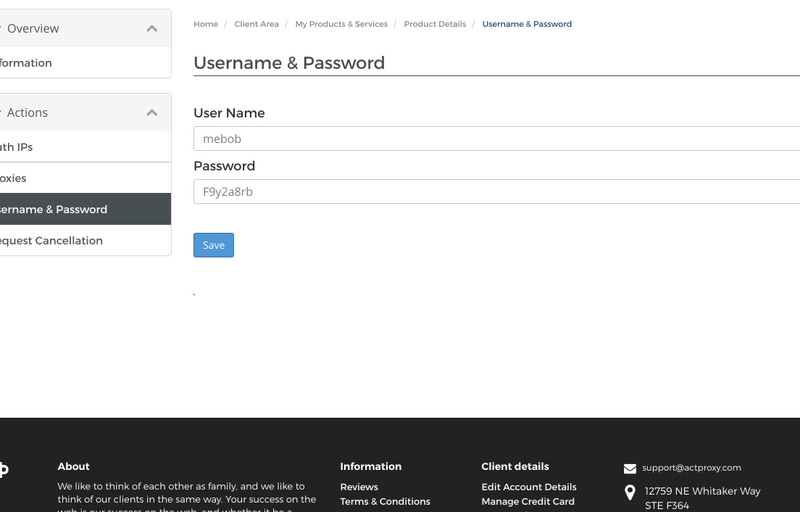 You can use Authentication IPs or a Username and Password or both to grant access to your proxies. Our servers use the best hardware on the market which allows for maximum performance and redundancy to prevent any single component from causing downtime. All servers use RAID arrays and have a minimum of 8gb of RAM to handle heavy loads and tons of bandwidth. With a 1Gbps uplink our proxies can replicate your home network connection. Squid is a full-featured web proxy server application which provides proxy services for all the popular network protocols. It scales from the simple user to enterprise level networks while providing extensive, granular access control mechanisms and monitoring of critical parameters. established we respect what you do and want our services to provide you with the greatest outcome possible. Need help, just ask! 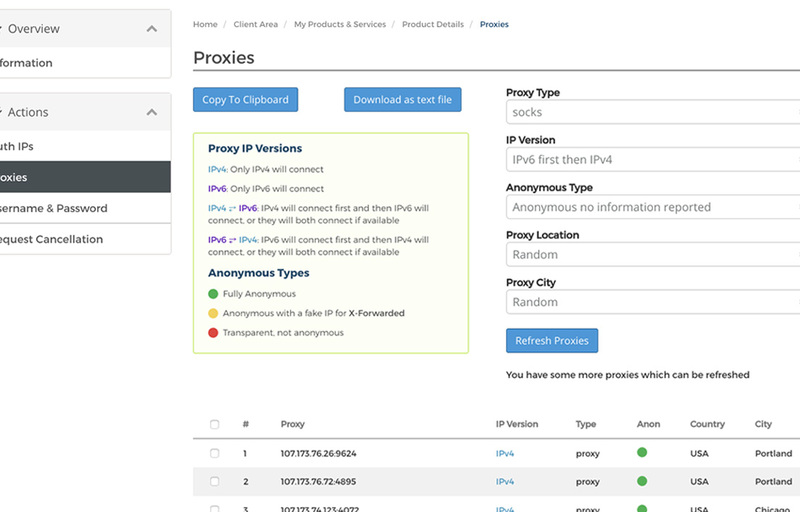 Awesome uptime and ease of use make our proxies some of the best in the world. Mose support requests are handled within one to two hours. We have staff available 24/7. We offer a 3 day refund gurantee on our proxies, no questions asked. Great, fast and cheap proxies :) going to order again for sure. This is the kind of service I was hoping to find on 5 other providers but ActProxy even exceeded my expectations! The customer support response time is awesome and the proxies are working great...highly recommended! Proxies have been so good, I've come back for 30 more after the initial 10. Speed is great and very reliable. Always working proxies. So these last few days with all proxies down is a new experience. But everyone can get into trouble sometimes, and I trust that your team is on top of it and will resolve this issue asap. Thanks.